Prince Antasari Born in Banjarmasin in 1797, Died in Bayan Begak, October 11, 1862 His grave in Banjarmasin. Banjar people's resistance against the Dutch at the start when the Dutch raised Tamijidilah as Sultan Banjar replace Sultan Adam who died. People Banjar Banjar empire and family, including Prince Antasari, demanding that Prince Hidauattulah, as the rightful heir to the throne of the Sultanate of Banjar, should be the Sultan of Banjar. Since then, the people of Banjar, led by Prince Hidayattulah, Prince Antasari and Demat Leman took up arms against the Dutch. Prince Antasari successfully invade and control the position of the Netherlands in the mountains Jabuk. Prince Antasari also meneyerang Pengaron Dutch coal mines. Banjar fighters also managed to sink ships along pemimpinya Onrust, as Lieutenant Van der Velde and Lieutenant Bangert. Dutch embarrassing events that happened on strategy and Hero Prince Antasari Suropati. In 1861, Prince Hidayattulah were arrested by the Dutch and exiled to Cianjur, West Java. Prince Antasari then took over the main leader. He was appointed by the people as Penembahan Amiruddin Khalifatul Mu'min, so the quality of the wars being increased because there are elements of religion. 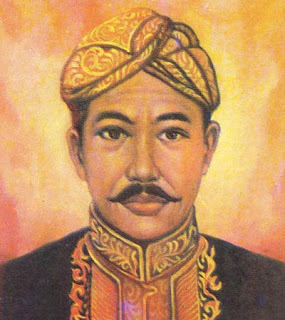 Unfortunately, Prince Antasri he died on October 11, 1862 Because the current smallpox was endemic in South Kalimantan. In fact, at that time, he was preparing for a massive attack against the Dutch. In honor of Prince Antasari services, by Presidential decree RI.No.06/TK/1968, National Independence him.